Wireless charging, 10 minutes a charge, you can live for more than 20 days, truly energy saving and environmental protection. Automatic bubble?The toothpaste use will be pumped into the power head into foam, conveyed to the brush head through tiny tubes, evenly on the surface of teeth brushing, make more comprehensive. Emancipate your hands,U type single mouthpiece design, appearance and structure design are all unique, so you brush your teeth to liberate your hands, improve the efficiency of your life, save your valuable time, enjoy the exquisite life. 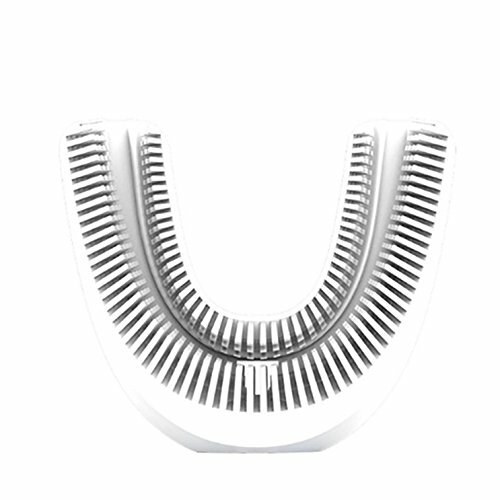 360 degree brushing,By ultrasonic technology, combined with U type toothbrush top innovation function and unique design, using only a 10-15 seconds to complete a 360 DEG omnibearing brushing action, save your valuable time, so you will love brushing. Magnetic connection,Hit it off, seamless connection, let the head of the toothbrush head is not in close agreement, do not worry because of the shock caused by brushing head off problems. Unique ultrasonic technology delivers enormous energy to the toothbrush head. If you have any questions about this product by WUTONG, contact us by completing and submitting the form below. If you are looking for a specif part number, please include it with your message.